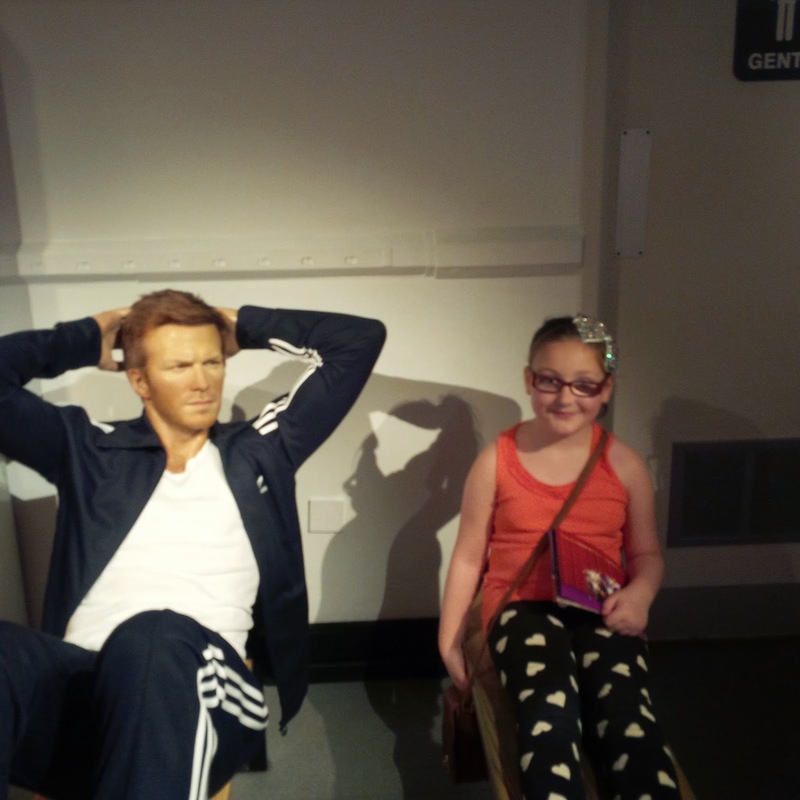 This week Olivia and I were lucky enough to pay a visit to Madame Tussauds Blackpool. I haven’t been to Blackpool for such a long time, and if I remember rightly I was 21 which means that I have never actually taken Olivia. So at the crack of dawn we made our way to Liverpool to catch the train up to Blackpool. 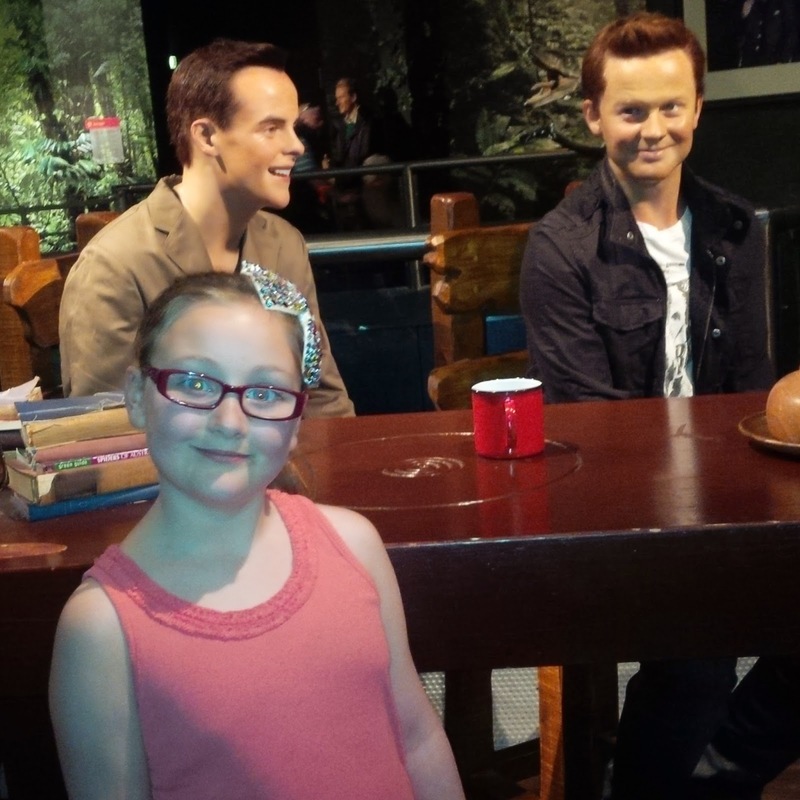 Situated on on Blackpool promenade Madame Tussauds opened in April 2011 and has since seen a vast array of stars grace the attraction pulling in visitors from all over the country. It is actually somewhere I have always wanted to go but never made it to so I was really excited to go. We were greeted by the staff on arrival who were more than happy to help us have a great visit and to help us get the most out of the attraction and in we went. Olivia was horrified! Seriously she was so scared I thought was either going to run out or cry. After some big hugs she decided she wanted to be photographer and I was the model for the day! I don’t think walking in and seeing Simon Cowell first helped matters at all. “He freaked me out” she told absolutely everyone who would listen! Move over Cheryl Cole there’s a new judge in town! The figures are split into different categories over different levels and there is lots to see and do, from posing with them all (some of them were scarily realistic almost lifelike) to taking advantage of the three photo opportunities. We had wanted pictures taken, hung off a building with Spiderman and jumped aboard London bus sporting some very fetching cowboy hats. All the way round the staff where on hand to assist us and other customers with any thing we needed, be it information or taking pics of us together being just the two of us. I am please to tell you that madam relaxed a bit by the time she seen Ant and Dec although she was still a bit wary, me on the other hand, well you couldn’t pull me away I was having the time of my life. The sports locker room was where it all changed, suddenly we were arguing over who was posing and who was snapping, and she loved it the rest of the way round. 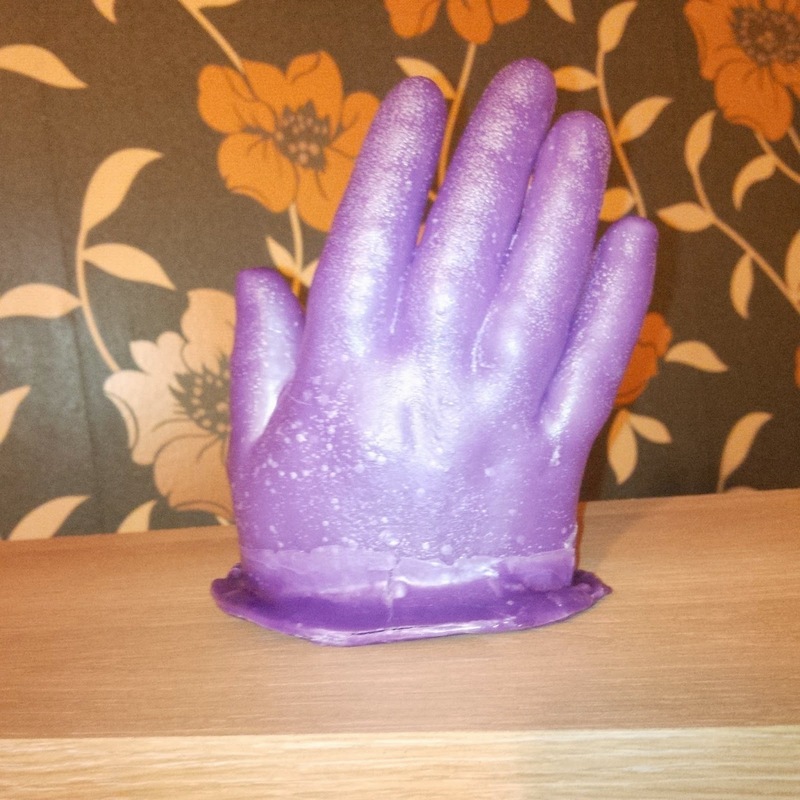 About halfway round situated in the music section, was a place where you could make your own wax hand. We opted for purple in a high 5 shape like we were waving, I say we, but Olivia wanted nothing to do with after these decisions were made. Me, well I was trying it all. We had a fabulous day and I can’t recommend it enough and I will definitely going back when I next visit Blackpool. It was such a lovely experience and the staff where faultless, and we all know how fussy I am over customer service, they just made it a great place to visit. I will leave you with some more pictures of our visit but if you want to see what all the fuss is about head on over to the website for all the information you need from directions to prices and everything in between. *Disclaimer* I was given complimentary tickets to visit the attraction so I could write about my experience. All thought, opinions and enjoyment are all my own. Links are included out of courtesy. 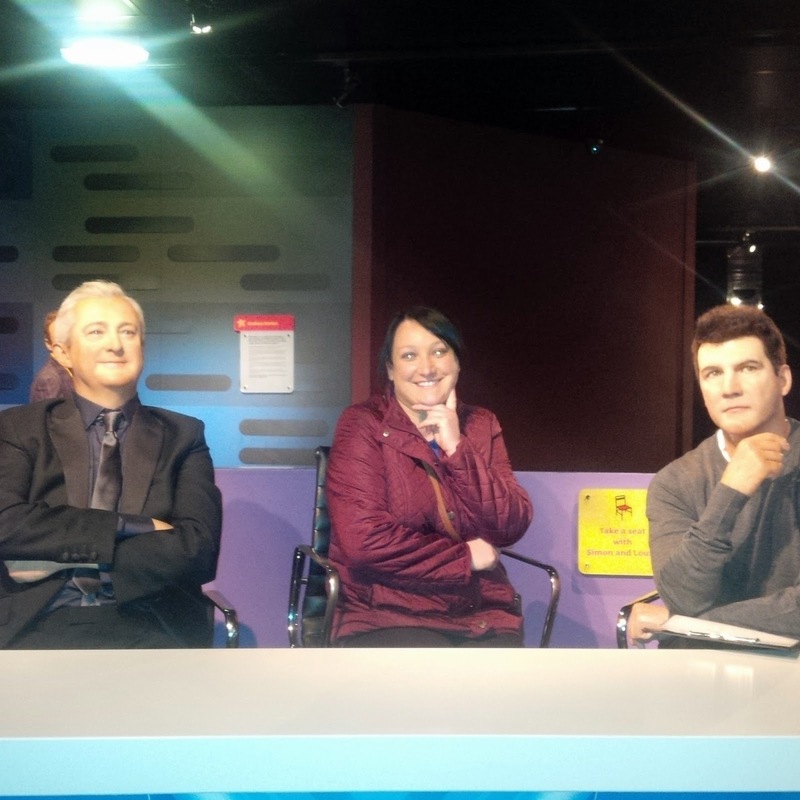 I love Madame Tussaud's. We visited a London a few years ago and last year Blackpool. They are both great and lots of fun. The love the kate and wills photo 🙂 did you sit in the rovers return? 🙂 thanks so much for linking up. Think we're ready for a trip to Madame Tussaud look good fun. we loved it when we went – my fave was the jezza set!